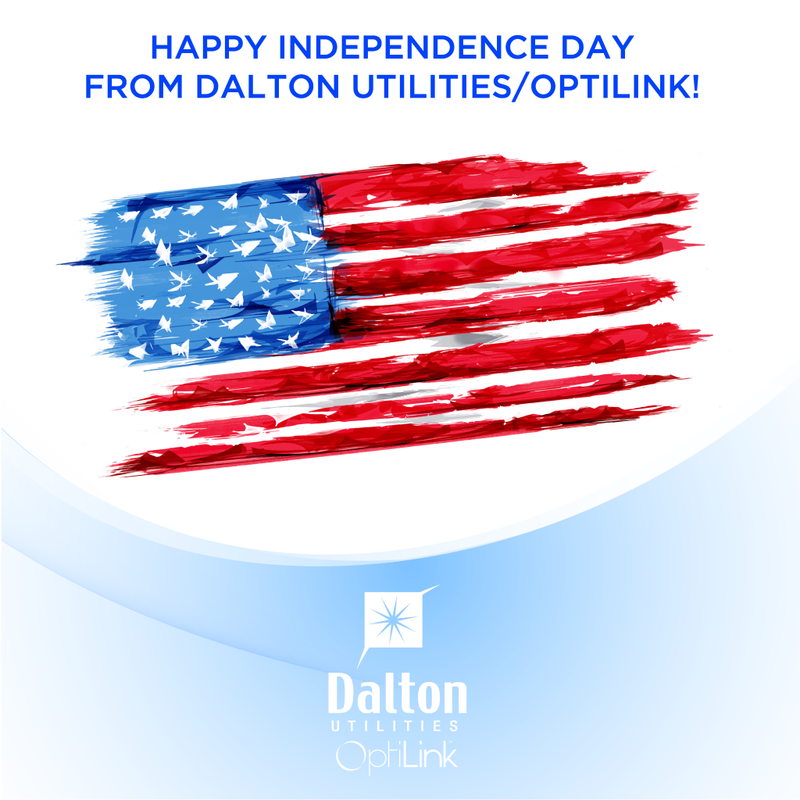 Dalton Utilities’ and OptiLink’s business offices will be closed on Wednesday, July 4, 2018 in observance of the Fourth of July holiday. Our 24-hour outage line — (706)-278-1313 — is available to customers who may experience service interruptions or issues during this time. Our business offices will re-open on Thursday, July 5 at 8:00 a.m.